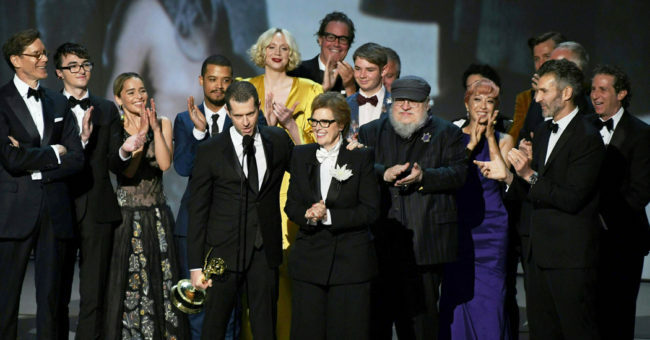 HBO received 23 Primetime Emmy® Awards, tied for the most wins this year, and the most Emmys® for the 17th year in a row, in the 70th Annual Primetime Emmy® Awards competition. “Game of Thrones” led all programming with 9 Emmys® and now has 47 Emmys® overall, the most wins ever by a comedy or drama series. * 3 Emmys® for “Barry,” including: Outstanding Lead Actor in a Comedy Series (Bill Hader); Outstanding Supporting Actor in a Comedy Series (Henry Winkler); andOutstanding Sound Mixing for a Comedy or Drama Series (Half-Hour) and Animation.